Who is General Hoon, its role in massacre of Muslims in India, its role in enmity to Pakistan, moreover before writing about terrorists present within Indian army I would like to mention internal tense situation of Pakistan, and due to it questions raised by American media about nuclear weapons of Pakistan, concerns of American administration and continuous propaganda by India. 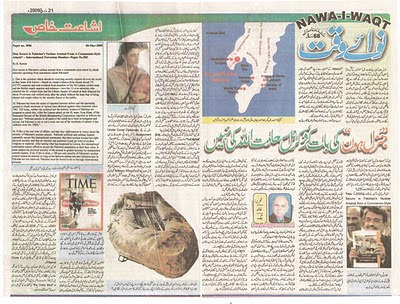 Some of them have been published by Nawai-Waqt on 28th February with reference to its representative in Washington Mr. Nadeem Salehri. According to them some American think tanks and security agencies are preparing reports keeping in view the intense political situation of Pakistan. That what will be the defense, political and economical situation of Pakistan in upcoming months. And either Taliban taking benefits of such circumstances can capture Islamabad or not? 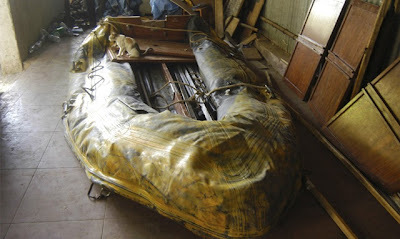 The nuclear weapons of Pakistan will be safe or not? And moreover trained American commandos present in Afghanistan and agents of CIA are capable of overtaking nuclear weapons of Pakistan? In the same way B. Ramin has advised Obama establishment in his article of 6th March 2009 “How Secure is Pakistan’s Nuclear Arsenal from a Commando Style Attack?”. In this article he has written that world should understand its responsibility and capture nuclear weapons of Pakistan. Otherwise Militants especially Taliban can any time take over Pakistani Nukes in a commando style attack. While Pakistani security agencies are deceieving wolrd by saying that weapons are in safe hands. In order to prove his stance B. Ramin has mentioned the attack of Lahore on 3rd March in which Srilankan Cricket team was attacked and terrorists went away calmfuly like players of golf. Now this is the duty of our politicians that why they make their political disputes so much intense that our integrity is endangered? And our enemies dream of taking our nukes. It is true that due to intense political situation people of Pakistan are themselves worried but it is also truth that nukes of Pakistan are not like goods laying in grocery that anyone can take them or trained militants of Indian can target them like they targeted Srilankan team (I wish we can tell the world that terrorists attacking Lahore were Indian agents). This is not the first time when specific group has tried to convince world that Pakistani nuke’s are unsafe. Sometimes they blame Pakistan Army as supervisor of terrorists and some times they foresee Pakistani nukes falling in the hands of Taliban. This prolonged propaganda is a proof that nukes of Pakistan are not only a problem but secret for enemies. Where are they, where they exist, and American and Israeli spy satellites have been unable to discover them till now. American think tanks and govt. knows that any attempt from their side to destroy Pakistani nukes will not only result in destruction of South Asia but in 3rd World War but India is not concerned with results. Statement of ex-Indian General Vijay that “Pakistani Nukes has made Indian army powerless otherwise they had attacked Pakistan long ago” is enough to understand thinking and plans of India. In the same way in last month after announcement of seize fire by local Taliban the statement of FC Inspector General, Major General Tariq Khan is of much of importance. Which was criticized by Westerns and afterwards by Israel and India. General Tariq rejected seize fire by Taliban and told media that militants fighting with the support of “foreigners” are trying to name their defeat as seize fire to support falling morale of their colleagues and moreover want to signal their donors that they should keep supporting them. Actually taking the benefit of Swat n Malakand Peace treaty militants (majority of them consists of foreigners especially afghan soldiers) fighting against Pakistan army announced seize fire, reacting on it many columnists of English newspapers started writing columns that Pakistan is powerless against militants. In order to hide shortcomings Pakistan army is trying to sign peace treaties with militants. Here if we see news report of Nawa-i-Waqt’s representative in Washington under the thoughts of Local English (Half English) columnists and analyses of B. Ramin then continous propaganda of western media and concerns of B. Ramin forces international community to think that Pakistan army powerless in the hands of militants cannot protect nuclear weapons (I request my fellow country columnists that they try to fulfill their duty for which they get paid but showing their enmity to Pak-Army they should must keep in mind the integrity of Pakistan). However the murderers of Karkare in the name of firing of Mumbai hotels on 26th November were unaware that widow of Karkare “Kaveeta Karkare” will become a problem for them. She had not only been aware of all the professional activities of her husband but also an expert in understanding these investigations. If terrorists of India had known that Kaveeta Karkare will become a problem for them they would have murdered her along with her husband in 72 hours bloody drama of Mumbai. Kaveeta had announced to investigate herself murder of her husband by Indian govt. She had rejected govt. stance and announced on the TV that Ajmal Qasab (whose identity is still unclear) is not murderer of her husband. While Indian govt. was busy in preparing indictment against Ajmal Qasab consisting of 11000 pages, on the other hand Kaveeta was busy in collecting proofs of her husbands murder. When Indian govt. got aware that Kaveeta is going to accuse Colonel Prohit along with other officials of Indian army for murder of her husband, India included the name of an on duty officer of Pakistan Army Colonel Saadatullah as supporter of terrorists. India blamed that Colonel Saadatullah who is on duty in “Special Communication Organization” under Signal Core of Pakistan army, terrorists two times contacted on the e-mail address of that Colonel. Atlhough taking Indian blame seriously Pakistani govt. rejected it and replied that in spite of giving answers to the questions asked by Pakistan India is trying to prolong the case. And it is true that an indictment consisting of 11000 pages (including more then 3000 witnesses) the hearing of this case needs at least 50 years, if it is not a joke then what it is? Readers at least the struggle of Kaveeta brought fruit and English daily “The Daily Mail” got ready to publish the reasons behind the murder of Hemant Karkare (which were collected by Kaveeta) and moreover all those research made by her husband in connection with bomb blasts in Indian cities which were hidden from the common people of India. Kaveeta told “TDM” (The daily mail) that her husband had not arrested Colonel Prohit on 29th September 2008 after blasts in Maligaon for being involved in few blasts. Her husband knew that Singh Family has badly penetrated in Indian army. Karkare spent first twelve years of his service in RAW. During this he came to knew that RAW and Hindu extremist have close contacts and both want to spread religious extremism in Indian army. At that Karkare did not give enough importance to activities of Hindu extremists. 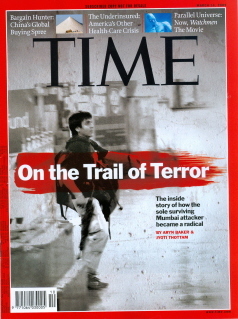 Afterwards Karkare was sent to Austria for seven years for “Undercover Diplomatic Assignment”, here he came to knew that few officials of iondian army, Singh family, moreover RAW had jointly formed a group “Aatma Ghatak Pathak” (Hindu suicide bombers) and this group is involved in many suicide attacks within Pakistan and murders of famous personalities. In Indian Karkare discovered that Chief of Hindu Terrorists is General Hoon of Indian army and “Military Wing” Shev Sina works under his command. And Colonel Jaint Shetal is responsible for planning of suicide attacks in Pakistan. Karkare also came to know Lt. Colonel Mithan Chakroti who was responsible to provide dynamite and destructive weapons to Hindu terrorists. For Karkare this was not an usual thing because according to him all of these terrorist activities were being conducted within Pakistan. When Karkaer returned back to India and he was assigned as Chief of ATS of Maharashter there he came to know that group of Hindu Terrorists working under supervision of General Hoon is also responsible for terrorist activities within India. When Karkare conducted further investigations he came to know that in 2002 General Hoon and Colonel Sheetal were responsible for the fire in 2002 in the train of Hindu Pilgrims on the Godhra Railway station so that Muslims can be accused for that and Streets could be filled with Muslim’s blood. 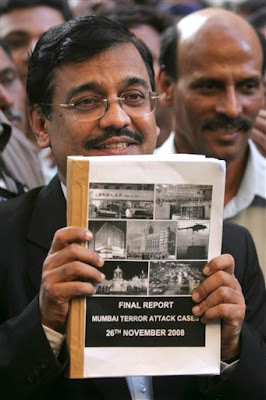 After this finding Karkare shifted all his attention towards “Aatma Ghatak Pathak” (group of Hindu suicide bombers) and this astonished him that from 2001 to 2008 all the bomb blasts conducted in different cities of India were done by General Hoon, Colonel Sheetal and Colonel Mithan. Karkare got more proofs and his investigations went on. Karkare arrested Swami and Sadhvi of Bjarang Dal and in the light of the information disclosed by them he arrested Colonel Mithan Chakroti. This made Karkare astonished that he had arrested Colonel Shrikant Prohit and Mithan Chakroti was his “Cover Name”.